I loved this gig because: 1. No one in the audience talked while the musicians played. 2. RM Hubbert is funny and sad at the same time. 3. His music is so amazing that I couldn’t speak afterwards. 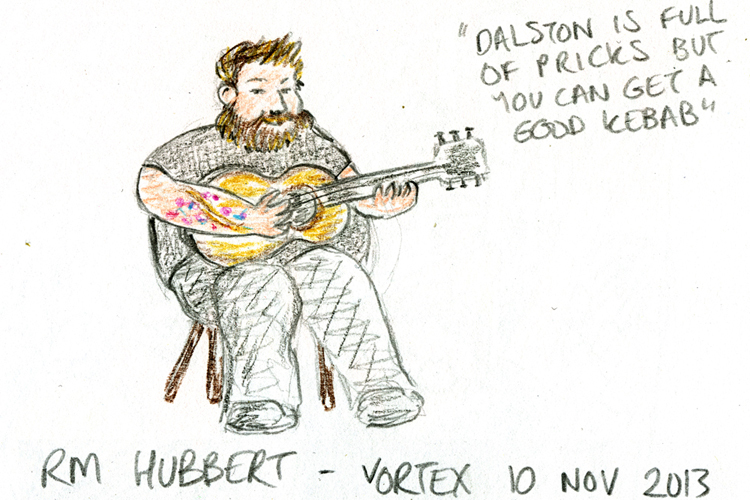 The master – RM Hubbert gives a very true view of Dalston.